ASA’s Director of Codes & Standards, Hugo Aguilar, is now a member of the California AB 2282 Steering Committee. Some of the tasks of the Committee will be to conduct research in consultation with the State Water Resource Control Board, research potential indoor and outdoor applications for recycled water, consider whether to adopt recommended measures for in the California Plumbing Code, identify key areas of concern, and seek input from stakeholders with subject matter expertise in the design. The Committee will strive to seek consensus on all key issues pertaining to the development of a recycle water standard. Fred Keenan passed away last Wednesday, Aug. 17 just two weeks shy of his 102nd birthday. 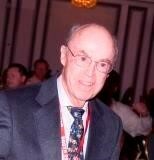 Keenan gave a lifetime of service to the plumbing industry as well as his community. He served as president of the American Supply Association and our industry’s highest honor, the Fred V. Keenan Lifetime Achievement Award, bears his name and recognizes those individuals who have distinguished themselves by serving to build a better PHCP-PVF industry. Services for Keenan are scheduled for Thursday, September 8. Sales for ASA members were below the forecast range in June, according to the latest installment of the ASA Advisor© from ITR Economics, which now includes a revision of its industry forecast. Sales in the 12 months through July rose 3.0 percent above the year-ago level. Expect sales to finish the year 5.7 percent above the 2015 level. Sales will reach record levels into 2019. The growth rate will be mild but relatively consistent. Growth in the U.S. economy will be backed by a strong consumer as employment and disposable personal income rise. ASA’s PHCP members should look for opportunities in home improvement construction and new home construction. Construction related to retail and restaurants will also provide some opportunities for sales in 2017. Log in to MY ASA to access the latest report. The most anticipated industry event every year, NETWORK, brings together owners and decision makers from wholesaler-distributors, manufacturers, independent reps, and professional leaders in our industry to network, learn, and grow. Continuing to be THE event for the PHCP-PVF industry, NETWORK2016 has again packed the agenda to maximize your time, solidify existing relationships, and build new industry connections. It will surely have you leaving with more knowledge about the industry, innovative techniques, and most importantly your customers, vendors, and peers. So, if you have not attended NETWORK, you are surely missing out on THE industry event. 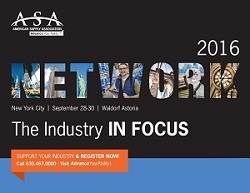 Register now for NETWORK2016 on September 28-30 in New York City. "The training & benchmarking information ASA makes available is the primary reason we are active as ASA members. The networking opportunities and advocacy have become equally as important to me, our organization and the industry as a whole." — Mike Plasier, Plumbing & Heating Wholesale, Inc.
Share your ‘I AM ASA’ with us! Staff training is essential for specific purposes related to your business. You may require new workers to undertake instruction in first aid, food handling or a new booking system. Incorporating training that develops employees toward long-term career goals can also promote greater job satisfaction. A more satisfied employee is likely to stay longer and be more productive while on your team. AB&I Foundry manufacturers cast iron soil pipe and fittings for storm and sanitary DWV plumbing systems. 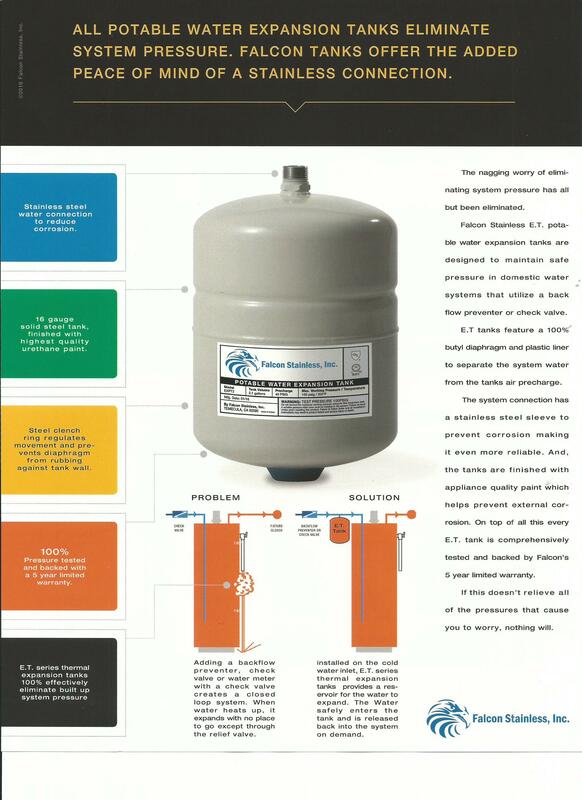 A US business built on RELIABILITY since 1906 and products with unsurpassed performance and durability. Integrity and Reliability – That’s the AB&I way. Visit AB&I Foundry.com or call (800) GOT-IRON. Free Catalog. Wheeler Manufacturing was established in 1957 with the invention of the chain type snap cutter for cast iron and clay tile pipes. It was a revolutionary tool which has since been adopted worldwide. Wheeler became part of the Rex Industries family. Rex Industries produces the highest quality and largest variety of pipe threading machines in the world. BrassCraft’s Push Connect products allow you to connect appliances and fixtures with ease and confidence. Compatible with PEX, copper and CPVC, BrassCraft’s technology requires no special tools, soldering or gluing for a watertight seal. BrassCraft’s product line features ¼ turn stops, one-piece supply lines, and water heater connectors.